It is widely acknowledged today that new technologies, in particular access to the Internet, tend to modify communication between the different players in the professional world, notably: relationships between a business and its clients; the internal functioning of the business, including business-employee relationships; and the relationship of the business with its different partners and suppliers. The term "e-Business", therefore refers to the integration within the company, of tools based on information and communication technologies (generally referred to as business software) to improve their functioning in order to create value for the business, its clients, and its partners. E-business no longer only applies to virtual companies (called click and mortar) all of whose activities are based on the Net, but also to traditional companies (called brick and mortar). 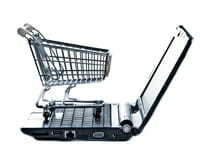 The term e-Commerce (also called Electronic commerce), which is frequently confused with the broader term e-Business, actually only covers one aspect of e-Business, i.e. the use of an electronic support for the commercial relationship between a company and individuals. The purpose of this article is to present the different underlying "technologies" (in reality, organizational modes based on information and communication technologies) and their associated acronyms. The goal of any e-Business project is to create value. Value can be created in different ways. One way is as a result of an increase in margins, i.e. a reduction in production costs or an increase in profits. E-Business makes it possible to achieve this in a number of different ways, including: positioning on new markets; increasing the quality of products or services; prospecting new clients; increasing customer loyalty; and increasing the efficiency of internal functioning. Another way is as a result of increased staff motivation. 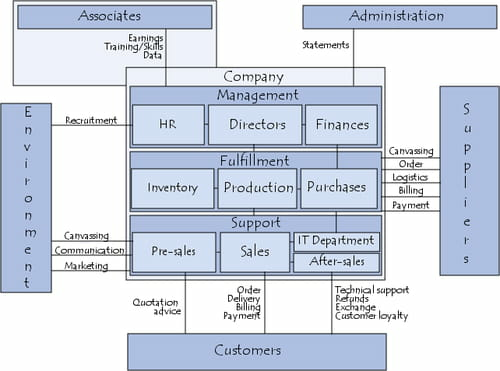 The transition from a traditional activity to an e-business activity ideally makes it possible to motivate associates to the extent that: the overall strategy is more visible for the employees and favors a common culture; the mode of functioning implies that the players assume responsibilities; and teamwork favors the improvement of skills. Another way is as a result of customer satisfaction. As a matter of fact, e-business favors: a drop in prices in connection with an increase in productivity; improved capacity to listen to the client; products and services that are suitable for the client’s needs; and a mode of functioning that is transparent for the user. An additional way is as a result of privileged relationships with the partners. The creation of communication channels with the suppliers permits: increased familiarity with each other; increased responsiveness; improved anticipation capacities; and the sharing of resources that is beneficial for both parties. An e-Business project can, therefore, only work if it adds value to the company, but also to its staff, its clients, and partners. Time To Market is the time that is necessary to bring a product on the market from the moment that the idea for it was put forward. Worldwide, new technologies provide an incredible source of inspiration to formalize ideas while making time to market even more critical because of the rapid flow of information and speedy competition. The use of new technologies for the functioning of a company makes it possible to reduce the costs on the different levels of its organization in time. Nonetheless, implementation of such a project is generally very costly and necessarily leads to organizational changes, which may cause upheaval in the practices of its employees. It is, therefore, essential to determine the return on investment (ROI) of such a project, i.e. the difference between the expected profits and the required overall investment, taking into account the cost of human resources mobilized. A company can be viewed as an entity providing products or services to clients with the support of products or services of partners in a constantly changing environment. The functioning of a company can be roughly modeled in accordance with a set of interacting functions, which are commonly classified in three categories: performance functions, management functions, and support functions. Performance functions represent the core of its activity (core business), i.e. the production of goods or services. They pertain to activities of production, stock management, and purchasing (purchasing function). Management functions cover all strategic functions of management of the company. They cover general management of the company, the human resources (HR) management functions, as well as the financial and account management functions. Companies are generally characterized by the type of commercial relationships they maintain. Dedicated terms therefore exist to quality this type of relationship. One type is B-to-B (Business to Business, sometimes written B2B), which means a commercial relationship between businesses based on the use of a numerical support for the exchange of information. Another type is B-to-C (Business to Consumer, sometimes wrritten B2C), which means a relationship between a company and the public at large (individuals). This is called electronic commerce, whose definition is not limited to sales, but rather covers all possible exchanges between a company and its clients, from the request for an estimate to after-sales service. Another type is B-to-A (Business to Administration, sometimes written B2A), which means a relationship between a company and the public sector (e.g. tax administration, etc.) based on numerical exchange mechanisms (teleprocedures, electronic forms, etc.). As an extension of these concepts, the term B to E (Business to Employees, sometimes written B2E) has also emerged to refer to the relationship between a company and its employees, in particular through the provision of forms directed at them for managing their careers, vacations, or their relationship with the company committee. The terms Front Office and Back Office are generally used to describe the parts of the company (or of its information system) that are dedicated, respectively, to the direct relationship with the client and proper management of the company. The Front-Office (sometimes also called Front line) refers to the front part of the company that is visible to the clients. Implementing an e-business project necessarily involves the deployment of a business network through which business-specific services are accessible in client-server mode, generally via a web interface that can be queried by using a simple navigator. Nonetheless, the implementation of computer tools is not sufficient. It is believed that a company only actually implements an e-business project as soon as it implements a new organization based on new technologies. The concept of e-business is, nonetheless, very flexible and covers all possible uses of information and communication technologies (ICT) for any and all of the following activities: making the relationships between the company and its clients and different partners (suppliers, authorities, etc.) more efficient; developing new business opportunities; facilitating the internal flow of information; and controlling the different processes of the company (production, warehousing, purchasing, sales, human resources, etc.). The goal is, therefore, to create privileged communication channels between the company and its environment and link them with its internal processes to better control internal and external costs. The goal of this article is to present the main market technologies, including: Intranet / Extranet; groupware; management of business processes; e-commerce; business portals; enterprise application integration (EAI); electronic data interchange (EDI); client relationship management (CRM); knowledge management (KM); supply chain management (SCM); integrated management software (IMS), also called ERP (Enterprise Resource Planning); and business intelligence (BI). Latest update on June 22, 2018 at 03:40 AM by Olivia Long. This document, titled "Introduction to e-Business," is available under the Creative Commons license. Any copy, reuse, or modification of the content should be sufficiently credited to CCM (https://ccm.net/).